Serum Markers in Rheumatoid Arthritis: A Longitudinal Study of Patients Undergoing Infliximab Treatment. Selaas O, Nordal HH, Halse AK, Brun JG, Jonsson R, Brokstad KA. Int J Rheumatol. 2015;2015:276815. doi: 10.1155/2015/276815. Epub 2015 Dec 16. Huszthy PC, Sakariassen PØ, Espedal H, Brokstad KA, Bjerkvig R, Miletic H.
PLoS One. 2015 Oct 2;10(10):e0140303. doi: 10.1371/journal.pone.0140303. eCollection 2015. No abstract available. 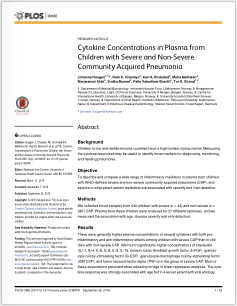 Cytokine Concentrations in Plasma from Children with Severe and Non-Severe Community Acquired Pneumonia. Haugen J, Chandyo RK, Brokstad KA, Mathisen M, Ulak M, Basnet S, Valentiner-Branth P, Strand TA. PLoS One. 2015 Sep 25;10(9):e0138978. doi: 10.1371/journal.pone.0138978. eCollection 2015. 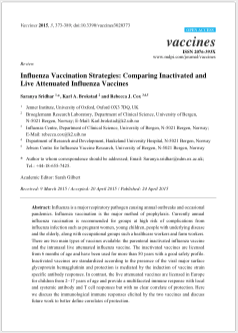 Influenza Vaccination Strategies: Comparing Inactivated and Live Attenuated Influenza Vaccines. Sridhar S, Brokstad KA, Cox RJ. Vaccines (Basel). 2015 Apr 24;3(2):373-89. doi: 10.3390/vaccines3020373. Review. PLoS One. 2015 Aug 20;10(8):e0136089. 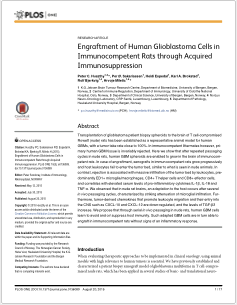 doi: 10.1371/journal.pone.0136089. eCollection 2015. Erratum in: PLoS One. 2015;10(10):e0140303. 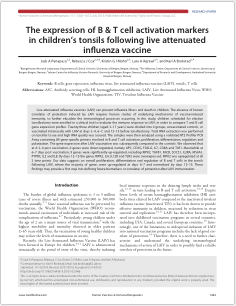 The expression of B & T cell activation markers in children's tonsils following live attenuated influenza vaccine. Panapasa JA, Cox RJ, Mohn KG, Aqrawi LA, Brokstad KA. Hum Vaccin Immunother. 2015;11(7):1663-72. doi: 10.1080/21645515.2015.1032486. 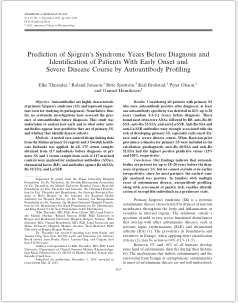 Prediction of Sjögren's Syndrome Years Before Diagnosis and Identification of Patients With Early Onset and Severe Disease Course by Autoantibody Profiling. 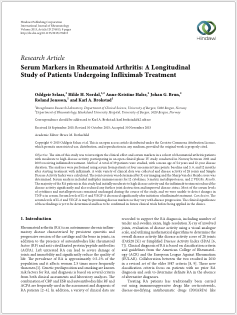 Theander E, Jonsson R, Sjöström B, Brokstad K, Olsson P, Henriksson G.
Arthritis Rheumatol. 2015 Sep;67(9):2427-36. doi: 10.1002/art.39214. 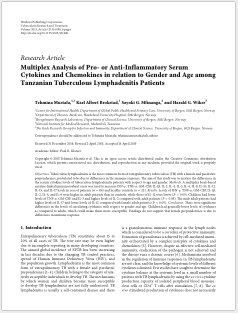 Multiplex Analysis of Pro- or Anti-Inflammatory Serum Cytokines and Chemokines in relation to Gender and Age among Tanzanian Tuberculous Lymphadenitis Patients. Mustafa T, Brokstad KA, Mfinanga SG, Wiker HG. Tuberc Res Treat. 2015;2015:561490. doi: 10.1155/2015/561490. Epub 2015 Apr 28. 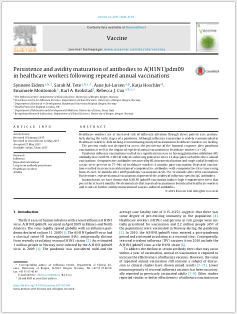 Persistence and avidity maturation of antibodies to A(H1N1)pdm09 in healthcare workers following repeated annual vaccinations. Vaccine. 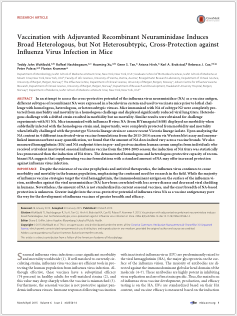 2015 Aug 7;33(33):4146-54. doi: 10.1016/j.vaccine.2015.05.081. Epub 2015 Jun 7. 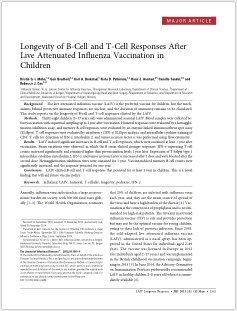 Longevity of B-cell and T-cell responses after live attenuated influenza vaccination in children. Mohn KG, Bredholt G, Brokstad KA, Pathirana RD, Aarstad HJ, Tøndel C, Cox RJ. J Infect Dis. 2015 May 15;211(10):1541-9. doi: 10.1093/infdis/jiu654. Epub 2014 Nov 25. 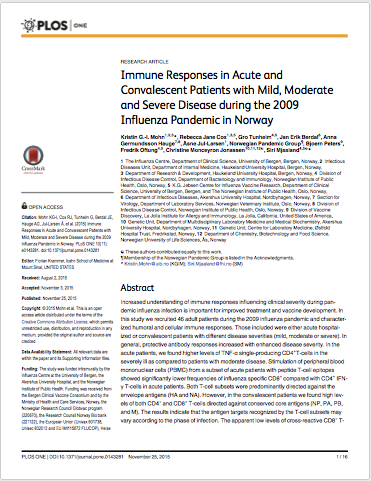 Immune Responses in Acute and Convalescent Patients with Mild, Moderate and Severe Disease during the 2009 Influenza Pandemic in Norway. Mohn KG, Cox RJ, Tunheim G, Berdal JE, Hauge AG, Jul-Larsen Å; Norwegian Pandemic Group, Peters B, Oftung F, Jonassen CM, Mjaaland S.
PLoS One. 2015 Nov 25;10(11):e0143281. 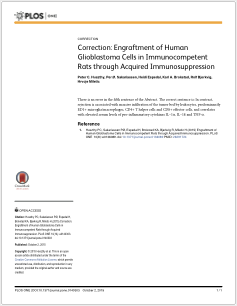 doi: 10.1371/journal.pone.0143281. eCollection 2015.